Pereira is the spiritual leader of the Methodist Church of Cuba and the pastor of the 3,200-member Methodist Church of Marianao in Havana. Good News editor Steve Beard sat down with the bishop to talk about the growth and dynamism of the Methodist Church and the changes that are taking place in Cuba. 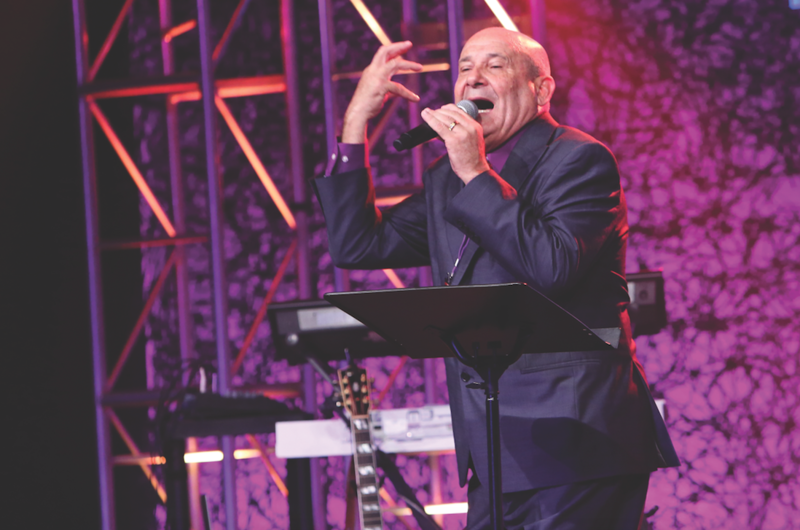 Pereira was in the United States to preach at the Aldersgate Renewal Ministries gathering in Lexington, Kentucky. The conversation was translated by the Rev. Jacquie Leveron, a United Methodist clergywoman serving in Fort Pierce, Florida. The Cuban Methodist Church is young, growing, and vibrant. What is the explanation for your vitality? The limitations due to the economy and the Communist system have forced us in the church to have a spirit of prayer and fasting. The Bible teaches us that all things can work together for good. 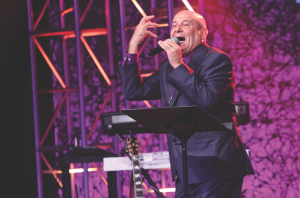 We cannot do what you do here – get a hotel or a stadium to have an evangelistic event. But we do one-on-one evangelism, person to person. In a stadium, people get converted and then you don’t see them. But with personal evangelism we are able to visit someone’s home, know their phone number and allow us to follow up. Because people are able to share the message one to another, they have a commitment to extend the Gospel and to support the church. They don’t make too much money but they learn how to support the church financially and that has been an explosion. In the last 15 years, there has been an explosion of growth. People go to homes and they share their testimony before their neighbors. And then we start a church there. We cannot build it and say it’s a sanctuary. But it’s a church because we have Sunday school, Bible study, and Sunday worship services. That’s how we’re extending in a very extraordinary way all over the island. How does Caribbean culture accent your expression of Methodism? We respect the American church, but we believe our church needs to allow the Holy Spirit to do His own thing and allow our emotions to express itself. We don’t have any problem when people shout at a stadium, at a football game. Why not shout when we are before the Lord and let Him know how much we love Him? That’s why our services are longer than two hours. Because people bring their poetry, their dances, their special hymns. People want to sing together. They want to hold each other and dance. And I think that looks a lot like what John Wesley did. The United Methodist Church in the United States is struggling with retaining or attracting young people to our services. Young people need Christian music. Young people have a lot of expectations and if we lead them or channel them to prayer and seeking after the Holy Spirit, they’re going to find answers that are going to keep them from drugs and other things that will damage them. It seems as if the Cuban church has a great awareness and expectation for miracles. I sometimes wonder if the wealth of the church in North America numbs our expectation for the supernatural? In some senses, yes. Because you think you could resolve everything with a cellphone. You could pay through the cellphone, you could do any kind of transaction. And you don’t have to depend on God too much. But where we have economic problems, people cannot resolve their problems and they have to pray more. But I think that the biggest problem of Christians in the United States is not to use the resources that the Holy Spirit has given them. The church must learn that there’s a place that belongs only to the Holy Spirit that cannot be substituted with anything. Describe the size and scope of the Methodist Church in Cuba. There are 300 churches that are formed and functioning in homes. There are up to 400 people in some of them. With youth and women and we have another 800 houses that are churches in formation, that are smaller. 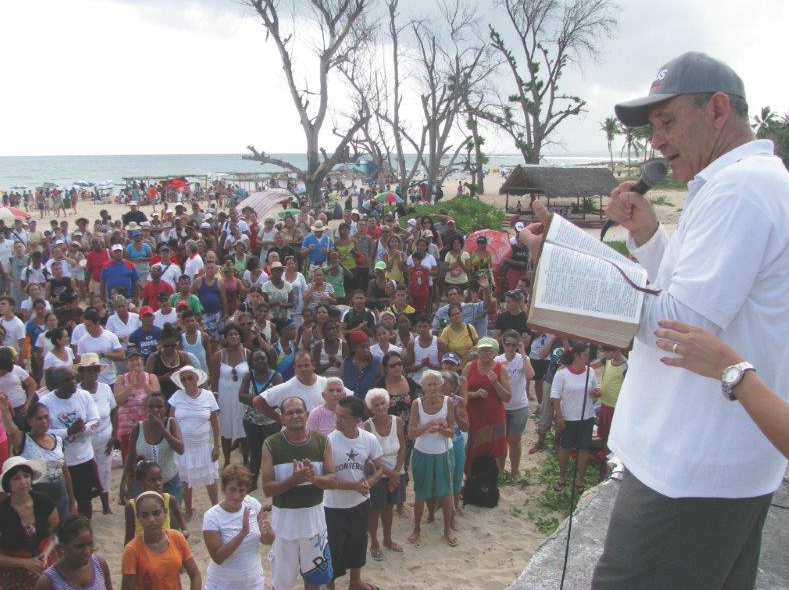 We have another 5,000 houses all over Cuba that are meeting places where Methodists come to pray to support the churches. We have three models: churches, churches in formation, and meeting houses for prayer. Sometimes people believe that they don’t have the proper clothing to worship in a sanctuary, and they feel more comfortable at a house. There’s a total revolution going on in the houses. What is the reaction of unbelieving neighbors to all the noise and commotion of your services in homes? The church has changed its strategy. Instead of having evangelistic campaigns, it’s a continual one, constantly, bringing people to Jesus. When I visited Cuba many years ago, the Methodist Church was wanting to launch a more evangelical seminary for young clergy. What is the status of that seminary? The church in Cuba was a member of an ecumenical seminary for 60 years but they were not responding to our expectations. We needed pastors to know our theology, but we didn’t want them to lose their passion. Eight years ago we separated from the ecumenical seminary and started our own seminary. In these past eight years, we have graduated 91 Cubans and one from Angola. And when they come out of the seminary, they are ready to open new churches. We’re also working with United Theological Seminary in Ohio and Bethune-Cookman University in Florida. They’re supporting us so that our professors will have a higher level and we can offer a master and also doctorate degrees. The Bible talks about a new wine needs a new vessel. A new church, an evangelical church. We need a seminary with evangelical vision that is committed to Jesus. As an orthodox and vibrant expression of Christianity in an fully atheistic culture, what advice would you give to believers in North America who believe that their culture is becoming less accommodating to Christianity? The church had to learn a new system of discipleship because people were coming from the Communist system. Atheists don’t believe in anything – then they receive Jesus. But we still don’t baptize them right away because they don’t even know what that means. So we have a year training with three courses where people learn about the Bible, and they learn the doctrine of the church. At the end they have a written test and then they have a day of graduation. When Methodist members are baptized, they can give a reason for their faith. They know the doctrine of grace, justification, regeneration, sanctification. They know what they believe. It has been hard in the past, but now it’s easier because now we have the mechanism already going. I believe that people need to be discipled. Our concept of discipleship changed. It doesn’t end once you become a member. After the people become members, then they start in the seminaries in the church where they could spend two more years. They learn about the story of the church, evangelistic techniques – so they’re constantly growing in the Word. Some people don’t talk about our Methodist roots but John Wesley was about the reading the Bible, prayer, and fasting. What has been the practical difference of having the political power transferred from Fidel Castro to his brother Raul Castro? It is not a visible change, but it’s one that’s coming. They’re changing their concept about the economy because in Cuba people could not own their businesses. They’re bringing changes so that people can make a little more. On the other hand, Cuba and the United States have been speaking. And in Cuba, we’re seeing some freedoms. People can have a cellphone and call anywhere, but it’s very, very expensive. They have opened some Wifi stations at the park, but it’s expensive. People can sell their homes. They can start a business in their home, very little, like sell food or things they make. We’re believing that there’s a change coming. And the relationship with the United States is going to bring more changes. This new relationship is very controversial. Some believe it is dangerous, while others believe it is long overdue. I know that there are people that have bitterness because they lost everything in Cuba. And some suffered a lot. But we cannot hold on to that bitterness forever. We want to work with it in a positive way. We are not agreeing with the Communist system, but we want to have a positive influence and more communication so that the whole world can know whatever happens in Cuba. Can you imagine half a million Americans around the streets of Cuba with their cell phones and their cameras? When there’s no relationship, the truth is hidden. But if people go to Cuba, they will see the truth of Cuba – not only through the eyes of the media. From that point of view, I think that would be very positive. What specifically will change between our two countries? For many years, there was a consulate to deal with a few things under the covering of the Swiss Embassy. And Cuba had an office in Washington. On July 20th, the U.S. consulate in Cuba became an embassy. It will not be under any other country’s covering, but government to government. And you’ve seen the interviews between Raul Castro and Barack Obama. They shook hands and Raul was joking and told him, “You’re not one of the bad ones.” So it seems that something is happening underneath. The Communist system that we had in Cuba in the ‘70s, ‘80s and ‘90s has nothing to do with what’s happening right now in Cuba. It’s very different. They keep calling themself Communist, but it’s not like it was from the Soviet Union. When I was in Cuba many years ago, the Methodist Church was unable to build new sanctuaries. Are things different today? Can you build a Methodist sanctuary? The government doesn’t allow it. We buy a house in the name of a pastor. The pastor signs the papers. That’s legal. And then we start a home church there. Is Roman Catholicism still the largest Christian designation in Cuba? They’re not. Evangelical churches are the largest. A month and a half ago, I had a reporter from the Washington Post in my office and he asked me if the Popes visited Cuba so much because of the growth. I said, “Oh, it’s possible. But the evangelical church has grown a lot more than the Catholic church.” Of course, the Catholic church hasn’t checked their statistics. When you count the numbers, it’s not the largest. What brought the Washington Post to my church is that they went in on Resurrection Sunday to cover the mass at 6:00 a.m. and the Catholic church was empty. And then they asked, “Where are the people?” And they say, “You have to go to the Methodist church if you want to see people.” There were thousands of people there because it was Resurrection Sunday and we had a lot of services. They were really excited about that. How do the Baptists and Assemblies of God and Methodists get along? The churches that have the Pentecostal background have a good communication. Assemblies of God is the largest. 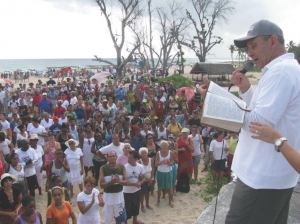 There’s three Baptist groups in Cuba that are the second place. And then the Methodist Church is the third place. But the Methodist Church is the fastest growing. Does it help for United Methodist work groups from the United States to come to Cuba or does it create a gigantic headache? No, it really helps us. We have United Methodist Volunteers In Mission – they come every month. For 20 years they’ve been refurbishing the churches. We also have groups like the ones we’ve had from United Theological Seminary and other schools. Our two churches have a great relationship. We share a great mission. This entry was posted in Uncategorized by Steve Beard. Bookmark the permalink.